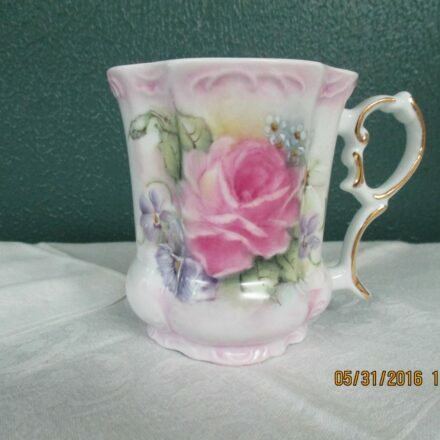 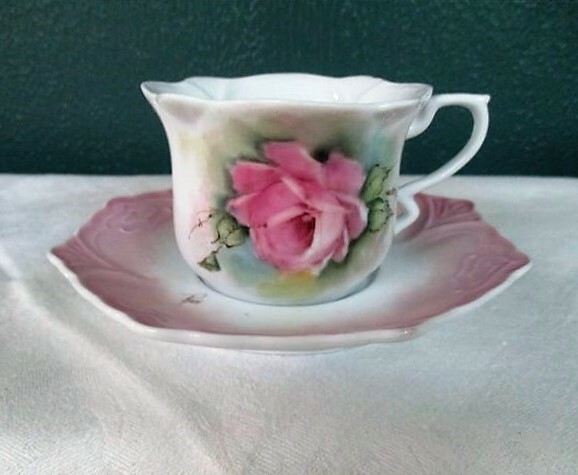 Prussia cup & saucer, 4 oz. 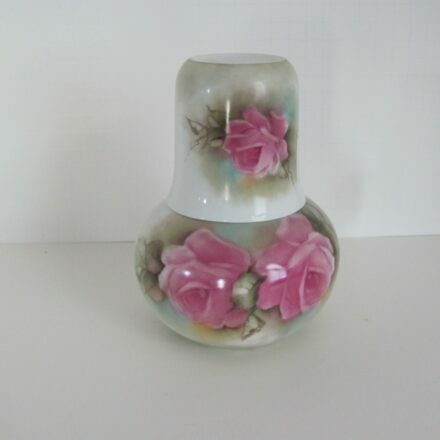 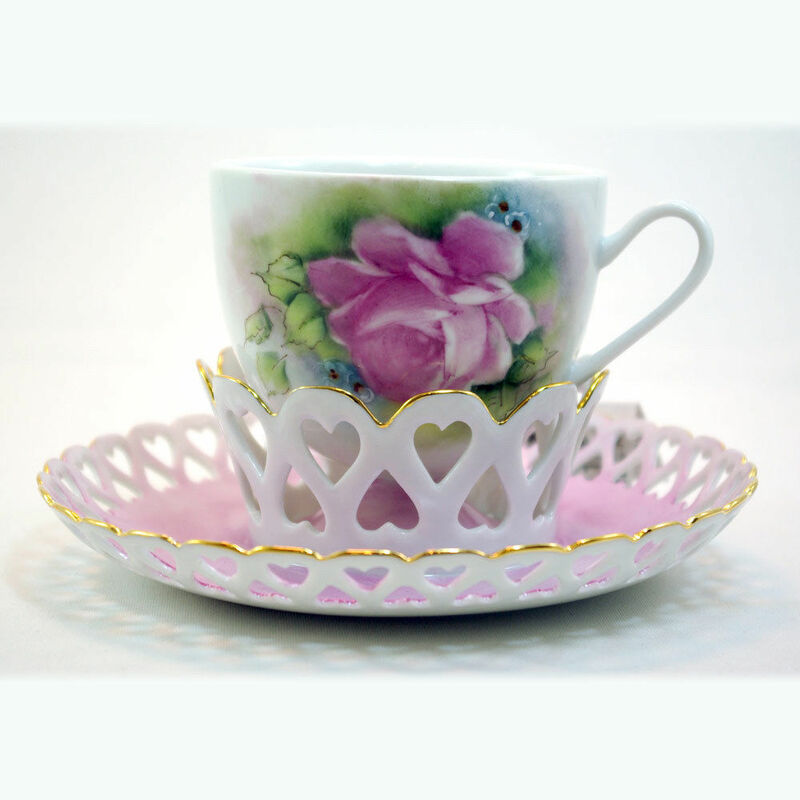 2 1/4″, reproduction, beautiful and dainty, original design in tea roses. 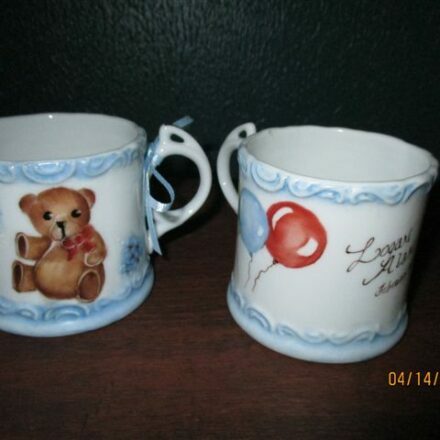 Also matches R.S. 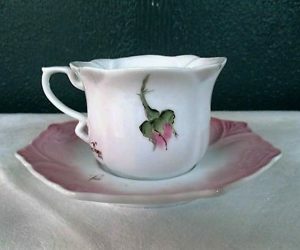 Prussia plate.